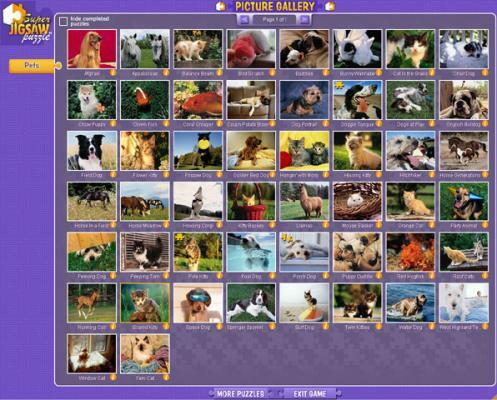 Super Jigsaw Pets Horses, Dogs, Cats... Fun! Super Jigsaw Pets: Horses, dogs and puppies, cats, hamsters ... 50 puzzles for pet lovers. 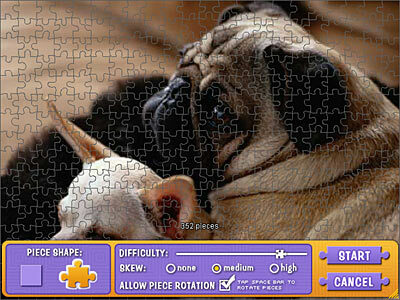 This collection of puzzle images has been selected for the animal lover in all of us. Whether you're a cat fanatic or a dog devotee you'll have hours of fun assembling these puzzles of furry animals. Choose from a selection of 50 different animal images to put them together in settings from 4 to 520 pieces. Fun!